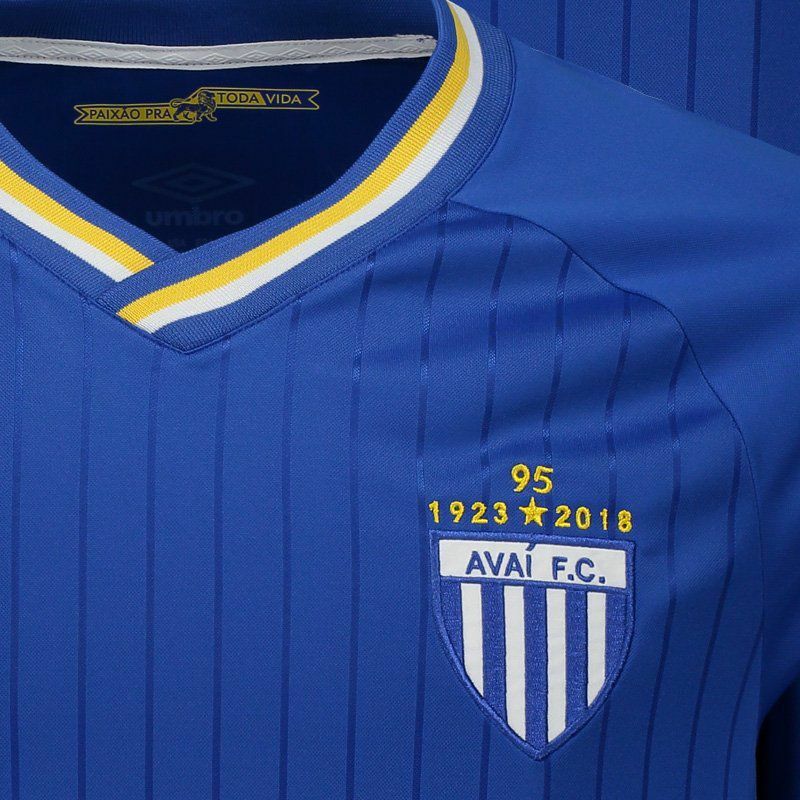 Umbro presents Avaí Third Jersey for 2018, the right request for the fans to show their affection for the Island Lion. The piece is made of lightweight polyester, features flexible fabric and offers name and number customization. More info. 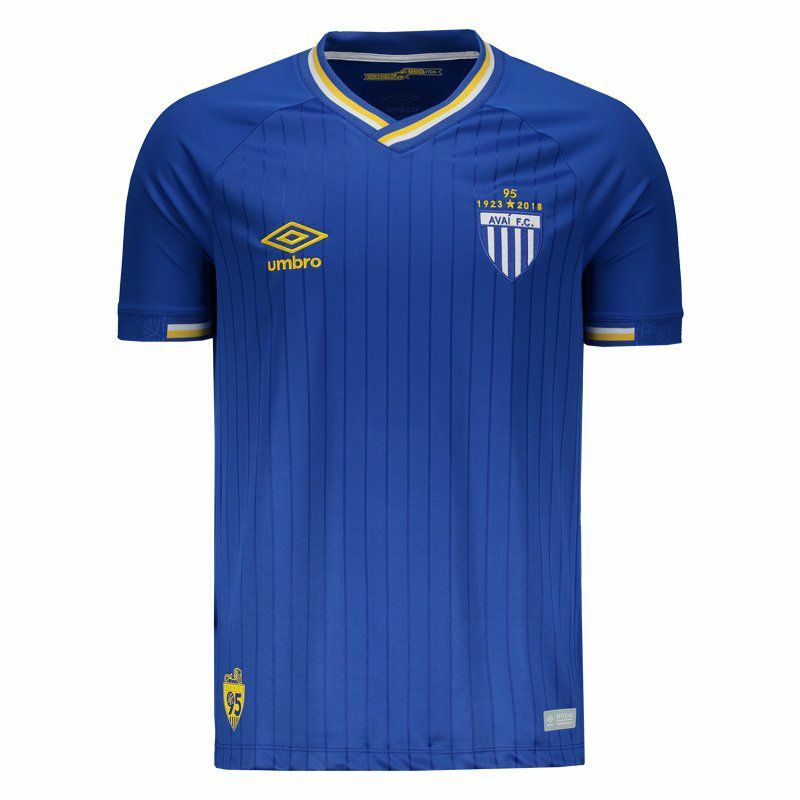 Umbro presents Avaí Third Jersey for 2018, the right request for the fans to show their affection for the Island Lion. The piece is made of lightweight polyester and features flexible fabric and full body breathability. 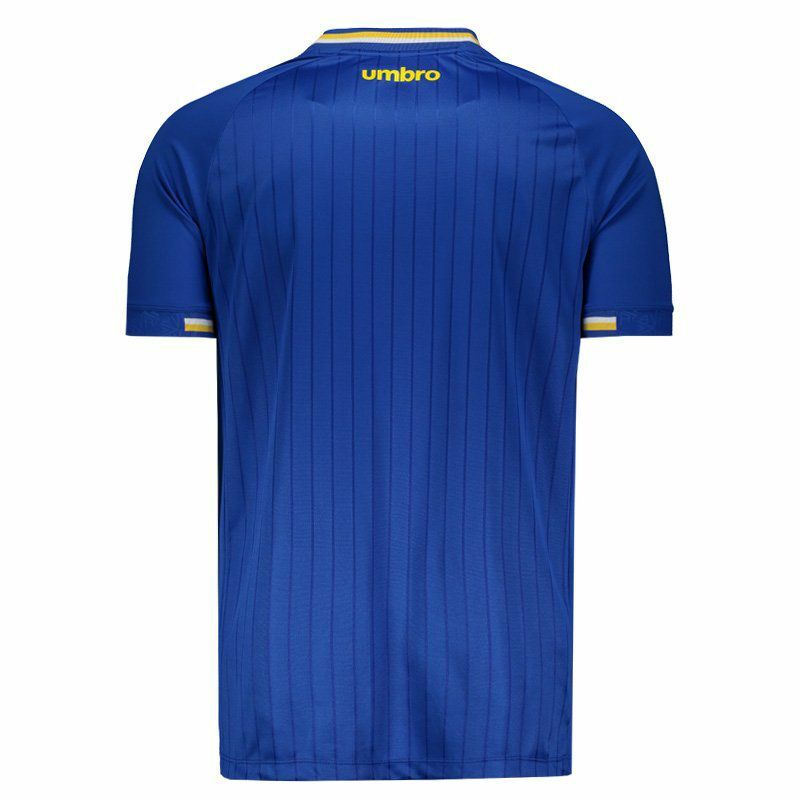 Its design is predominantly blue and features thin vertical lines fluted along the body. The collar is V with detail in the yellow color and the inside, counts with the inscription "Passion for All Life". 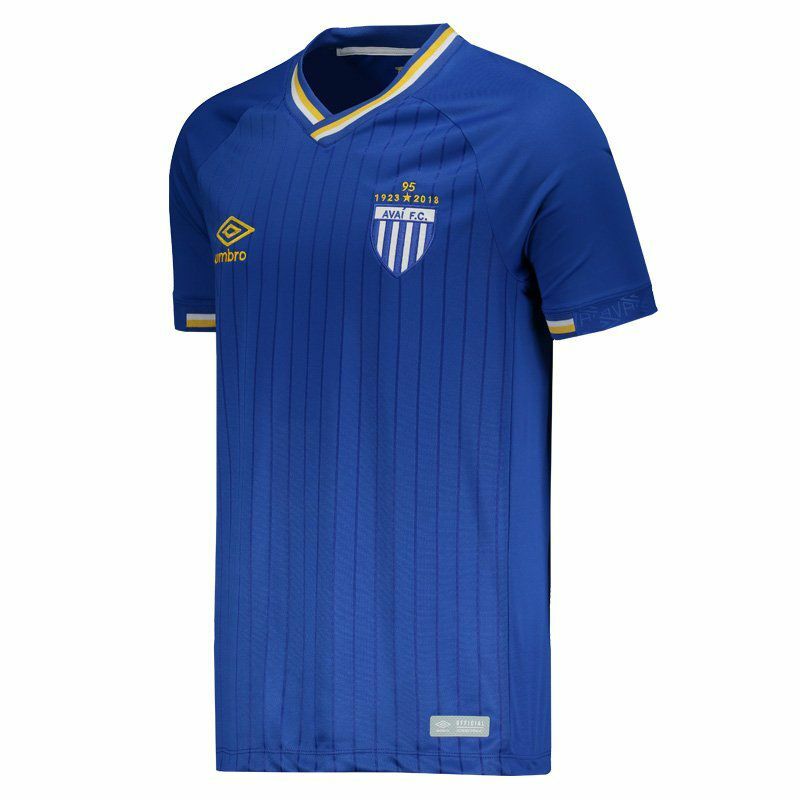 In addition, the team badge is seen embroidered, along with the number "95" and the dates "1923 - 2018" that refer to the club's birthday. Near the bar, the team mascot and the AFC symbol appear along with the symbol that was used in the past. Finally, in the cuff of the sleeves, comes with a stylized print in reference to the team.